Far too often, sanctified Believers have the impression that, now that they have the Second Blessing, they are finished; they can relax; they have all there is for them. Today, too few understand that there is much more ahead for them. 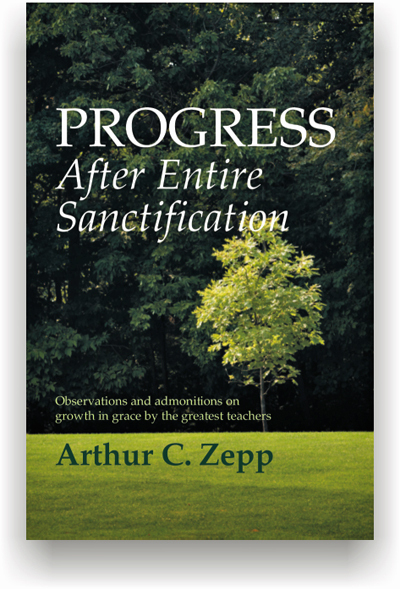 Written in a style reminiscent of JA Wood’s Perfect Love, Progress After Entire Sanctification is a wealth of encouragement from the greatest of Wesleyan Holiness writers. AC Zepp (co-author of Impatience and Idolatry) maps out vast tracts of territory yet to be conquered in the Promised Land, once the Jordan has been crossed at the moment of entire sanctification. There is no substitute for a walk so close to God that one can hear his voice. The soul who insists they will not be satisfied with less than a continuing sense of the Comforter’s presence will find complete satisfaction for their yearning. As they mature and grow in grace, they experience all the provision and consolation they need in this life, and the assurance of life eternal beyond this meager world. The person that knows and understands the need to constantly grow in grace after sanctification eagerly anticipates seeing God face to face, accepted in the Son. This book shows how!